Casto Technical takes safety seriously. We have high safety standards starting with all employees going through an initial safety orientation. 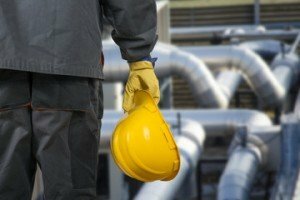 Initial training includes an overview of OSHA standards and Personal Protective Equipment (PPE) and is quickly followed by ongoing regular safety training. All of our Field Service Technicians are OSHA 10 or OSHA 30 hour trained. All employees have stop work authority. In addition to training, Casto also has a safety coordinator that conducts routine job site safety audits. WE ARE PROUD OF OUR SAFETY RECORD! Casto conducts drug testing and background checks. New hires undergo comprehensive safety orientation training. We comply with all OSHA, EPA, and DOT regulations. We have a complete company specific safety manual which is available for review. Our Worker’s Compensation experience modifiers are among the best in our industry.